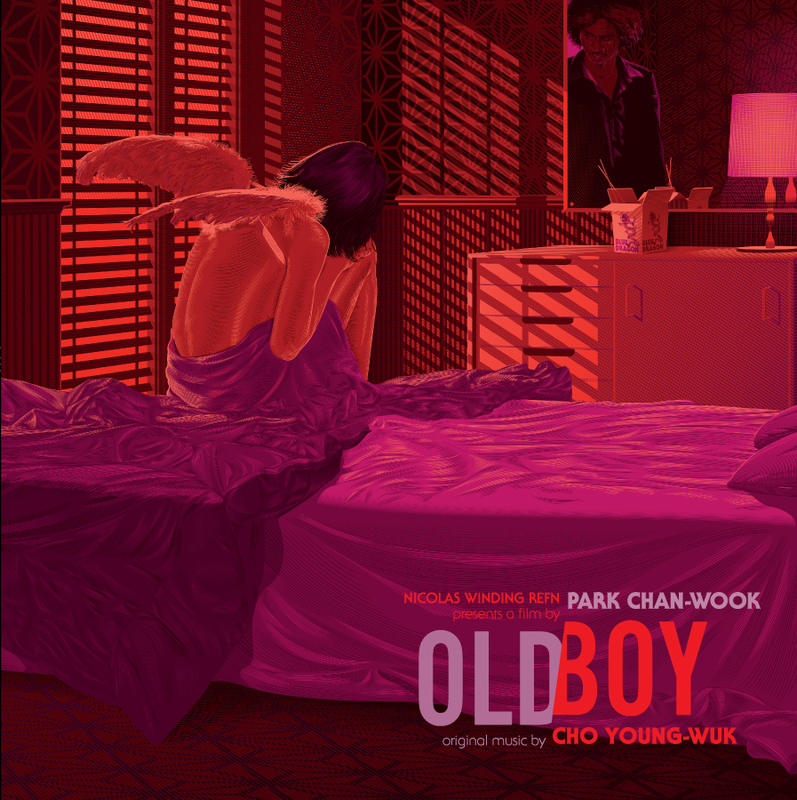 Released in 2003, Park Chanwook’s Oldboy is often heralded as a cult favorite and mastapiece of Korean cinema. Venturing to emotional extremes with its grim violence and extraordinary sadomasochism, it is a film that is compulsive viewing for anyone with a petulance for gore or a good revenge story. As tense as it is tragic, Cho Young-Wuk’s composition work mirrors the film’s dark beauty – filled with melancholic moments and infectious melodies. Looking for a visual artist to complement the project, Milan Records enlisted the talents of Laurent Durieux – whose captivating , lucid style immaculately captured the overcast essence of the film. Sombre and dripping in moody textures, Durieux’s unique approach makes even the warm colors look cold and empty on the page. Using techniques that emphasizes low key lighting and splashes of unbalanced compositions – Durieux work is steeped in qualities akin to film noir. The voyeuristic nature of the film is also highlighted within the work with subtle use of reflections and shadows. Blending contemporary musical influences with classic orchestral ones, Cho Young-Wuk’s use of electronica and stormy strings creates a detailed atmosphere of near-mournful suspense and malice. Equally as appealing, Laurent Durieux’s provocative palette beautifully highlights the scopophiliac themes and eerie dissonance of both Oldboy’s film and score. Peace to Laurent Durieux for helping out with this piece. 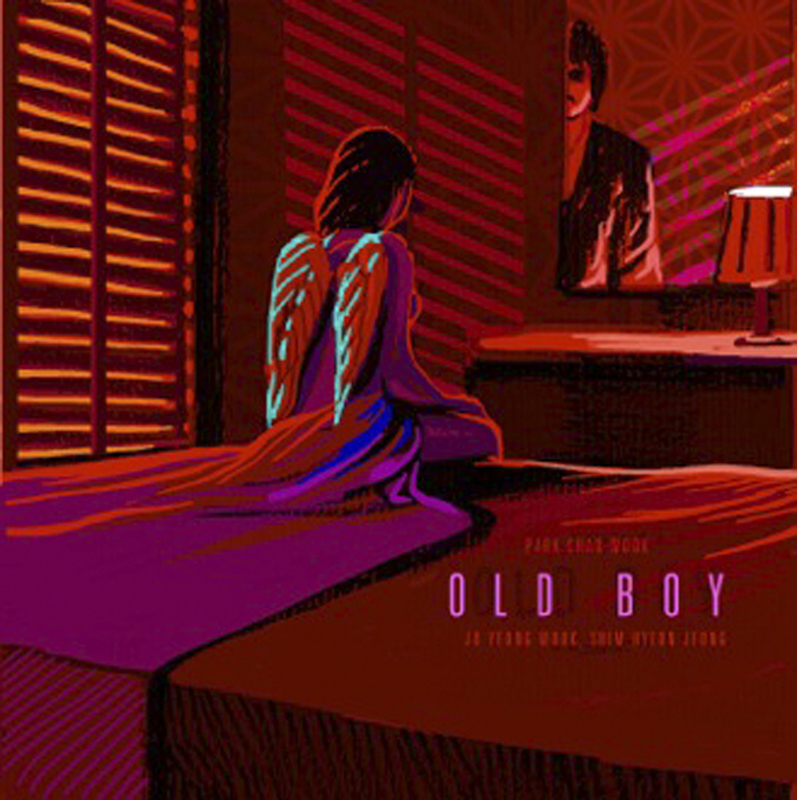 Hunt down your own copy of Oldboy and other releases at Milan Records. Check out Durieux’s other works on his Official Page and buy yourself a treat at his Store.